Am I the only one who jumped on these??!! At that time, I saw a players rookie card and a hummer! Wow what a collectible!! But now I have come to the realization that the 2 part set is pretty much worthless for value wise. But as a collectible, still a unique piece. They made these in 2004 for Football and Basketball. They made a different version for baseball. Most of the sales on ebay for these are under $10. 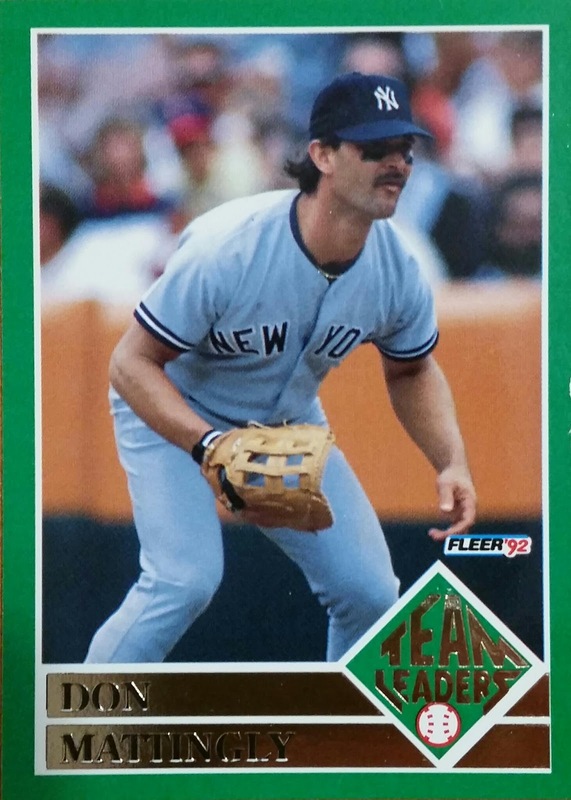 However, you have got to be careful when purchasing any rookie cards of these players and more from that year that look like these. People are passing them off as the real rookies when they are not. Well, I get excited for the upcoming football card seasons and sometimes I get impatient and want cards of the new players now. This brand is an example of that. I do wish now I had waited til May when Panini releases Prestige, but here is the breakdown of this product for now. Sorry if I am a little negative about it. But there was nothing to be positive about. And I want to give you my honest opinion and that's what you will get on here with any product. Box Design: Could be the best part of the product :) but the immediate draw is RG3 and the 2 autographs on the front box jumps out at you and grabs your attention to want to take it off the shelf. Sage did a very good job with that. Wrapper: Not so attractive. No player on it. No design. Nothing catchy autograph words or hits or anything. Very blah. If I saw this sitting on a shelf, I would have never grabbed or purchased it. Base: Dull, no action shots. No logos. No attempt. However first cards of Michael Floyd, RG3, and Brandon Wheeden were nice. Inserts: N/A. That's right. They weren't available. I didn't get one parallel out of my blaster. Just base cards. Autographs: This is what everyone buys this product for. I got two no namers. The design however is not bad. And the autographs look unique. However I must point out the Alfonzo Dennard autograph. The sticker is crooked. The autograph is lazy as its just a scribble. Card Designs I miss...Playoff Contenders Football '98 part 2 Leather edition! The leather version. Still smells like it. Love these cards! This is a Kevin Dyson and its actually a red parallel of one because the name is in red. Still to this day, the 98 Contenders one of my favorite sets! I don't own them all, but I do have a few cards. Wished I had pulled one of the auto's but didn't. I see some people have searched for this so wanted to make it easier! In case you have never seen how that is set up, you first need to sign up for a free account. Then when you sign in, all of your info will be there. You just need to select which product you want to enter for. You hit submit. Then you are entered! Its easy and can be awarding! Right now they don't have any product, so you might have to wait awhile. But don't give it too long so you don't miss out!! Thanks to everyone who has commented or viewed this blog. It is much appreciated and I try to show you my thank you by holding the contests we do. Please keep coming back because as the views and comments and followers increase, so don't the contests! And if there is something on here you would like to see or if you have a favorite topic we do that you would like to compliment us for(other than contests) or if there is something you don't like please comment below with your suggestions or comments in general. We enjoy criticism as much as compliments! It is what thrives us! First off, this is Hines Ward rookie season and rookie card. These pennants were part of a three part breakdown of the '98 Contenders. There were leather ones (will be another flashback on this brand with one of those so stay tuned), pennants, and base cards. I found this to be one of the most unique products in the late 90's and to me was a high end brand. I don't quite remember the full breakdown of a pack anymore, but I believe there were 3 cards per pack and you got one of each type of card in the pack. This was a hot and still is a hot product for its autographed rookie cards of Randy Moss and Peyton Manning and Ahman Green. Love the variety of people and the look of the overall Goodwin Champions cards. From the base, to memorabilia and definitely to their on card autos. To celebrate Opening Day...Baseball Card jerseys!! Thought I would share some baseball card jerseys to put us all in the spirit for the season! Player and team collecting is pretty common in this hobby. Most people have a favorite player or team so that’s a great foundation to start collecting. Many others don’t collect for player or team but for other reasons. I, find myself on the border of each. I collect NY Giants and Hakeem Nicks, but then I collect everything just to try and build a big collection. If you do collect strictly for team or player, it is sometimes very easy and cheap to pick up your favorites to add to your collection. Obviously, that depends on the team and players popularity. You can sometimes go to ebay and find a ten to fifteen card lot of your favorite player or team for under five dollars. You can also got to forums where trading is involved. One example is Beckett.com trade forum. You can find people with something you want and maybe you have something they want. Not to mention you can sometimes find great people who are just looking to dump team lots for free to clear space in their house. Those make awesome additions to anyone's collection. And of course it is always polite to mail them back a surprise package of their team to say thanks. Team and player collecting can even be broken down more than that. For team, maybe you collect only a certain position on the team or if football, side of the ball. Maybe you only collect the teams rookies. Maybe its stars. It’s never wrong however you decide to collect your team. As for player, maybe you collect it all. Maybe only inserts, autographs and memorabilia or one of them. Or maybe you want a complex collection and will go to the ends of the earth to find every card serial numbered with their jersey number. For example, I like Hakeem Nicks, so if I was going to do that I would try finding cards numbered 88/???. That would be a very cool collection. But could cost more than the other options and much, much harder to find. Most of you probably already know about these options, just thought I would help those of you who might not . The one thing about the hobby is… its always nice to help out the newbies. Because without them, the hobby cannot grow. Til next time, keep busting wax. The smell of freshly cut grass. The aroma of popcorn and hotdogs. The sound of a ball hitting a glove. The crack of a bat hitting a ball. The roar of the crowd...ohhhhh....you know it. Its the start of the baseball season. The story lines I am looking forward to seeing this season is how Albert Pujols does in a Angels uni. I think he will still hit around 38 home runs. Prince Fielder still should be swinging the same in Detroit and could have an even better season than Pujols due to the fact the Tigers have more around Fielder protecting him as a hitter and forcing opposing pitchers to pitch to him. I want to see what Michael Pineda does in a Yankees uniform. He is a very young pitcher with a ton of potential. I do still though, question why the Mariners traded him off when they to do need pitching. And speaking of the Yankees, will Andy Pettite made the roster and how will he pitch? Other headlines this time in the NL, the Washington Nationals. Will the young talent finally stick together and can the team make a run? Will Stephen Strasburg pitch top notch again? And when will Bryce Harper make his return to the Majors? Sticking in that division, the Miami Marlins. New name. New manager (who I still think was a weird selection for them but they wanted a people draw) and new faces. Will all of the money they spent pay off on the field and bring people in the stands? Many questions will be answered and it all begins today. As for my World Series predictions...well......you heard it here first! Well, first I must say, I found this blaster for $11.98!! But, what a break. Originally as I posted I didn't buy into the Lin hype. But, finding a cheap blaster and taking a chance to try and get one instead of buying one on ebay for tons of money, I figured it was worth the risk. And boy, was it!!!! Box: The box I really liked the design of. 2 top players and Panini spokesmen. A huge draw. Once again the only negative was the fact you get an auto or memorabilia per box but you don't know that unless you check out the side panel. I knew where to look this time because of my last Panini blaster break. Please Panini put there is one auto or jersey per box on the front!! Wrapper: It matches the box. Looks nice. A big draw with the 2 spokesman. I usually like to take a pic of the wrapper before digging in, but this time its a little crumpled from my opening. Was stoked to find one of these in there with its current book value of $30. But read on...it gets better!!! Inserts: Parallels are fun to chase and who doesn't like cards that shine. The insert designs look great and match the feeling of the product as you can see. Jerseys: Just look at it....enough said. We hit the jackpot with this blaster. This card is bv of $100 and is numbered to 299. So its a rare find. Overall: We can't say every blaster is going to bring you this kind of luck. But it could. We really enjoyed this break and Panini does a great job with their blaster products. This story makes me a little frustrated. To claim the hobby is dying off. Its really frustrating for me to hear. Cards at retail outlets continue to sell. Card companies continue to grow with licenses and products. Even though some hobby shops have closed, its not because the hobby is dying, its because the internet has taken over the hobby. People buy online. Its cheaper. It always has what you are looking for. I want to thank Panini for being a card company that steps up and puts up a response to this. Busted some of this over the weekend. Here are my results! Wrappers: I like the classic feel to the individual pack one. But, I really like the rack pack one because it was very sturdy. And corners won't be as easily damaged. And having Evan Langoria as a draw, not a bad selection. Base: Well, I like the classic nature of this product and using the 1963 2 color design was a nice touch. However, between a rack pack and 3 individual packs and only one rookie card...makes me wonder if they are too hard to chase a rookie this year. Inserts: Not much here. A Blue parallel that comes in 1:4 packs. And a Flashback one of John F. Kennedy. Didn't really hit it too big with this product. Overall: Loved the design, but I didn't get enough back in value. Paying almost $20 and probably having the highest card valued at $3. Well... This is a product for those who love to chase a set and who love looking for the big hit I definitely lacked. Finally!!! A reality show for me!! There are no reality shows I will spend time watching. Unless you consider Man vs Food and Hoarders reality then those you can count for my watching as well. The rest of them seem to fake or boring. To me, a show like Survivor, seems like a cardboard background. If you were to really go to an island and try to survive, you wouldn't play games to earn things. You would be stuck there and be filmed and try to live off from the island. That would be real reality. And the last one who doesn't go insane or back out is the winner. But I must admit, I really enjoyed watching Ball Boys this past weekend. If you didn't get the chance here is a quick run down of the show...The scene is a sports card shop called Robbie's First Base. It is located in Timonium, Md. Its owned by a father and son duo Robbie Davis Sr and Robbie Jr. There are two employees, a sports savvy guy in Shaggy and I haven't quite figured out why he is on the show in Sweet Lou. They buy sports memorabilia and resell it. They ended up with some great memorabilia items. And how awesome was it to see Jim Brown come in and authenticate his own autograph when the father and son who were trying to sell the items to the owners didn't have any way to show it was real. And they also bought a ring from the Notre Dame Championship in '77. The team that Joe Montana was on. They acquired the ring to sell to a woman who was buying it for her husband. Wow!! If you haven't seen it yet, you should give it a watch. Donruss Preffered: Brand I miss! I always loved the creativity of the 90's, this brand for example. Each pack of cards were packed inside this tin. Every tin had a different player on it so that alone you tried to collect. Which I did, but never did get all of them. They produced this product for both baseball and football. The outside packaging was just as amazing as what it held inside. The cards had different tiers to collect as its base, bronze (common), silver (uncommon) and gold (rare). You could also have a shot at Precious Metals! I wished this product could be revived. You never know with the incredible people at Panini could bring back since they have revived the Pinnacle brand and brought back Totally Certified. Biggest Error Card of All-Time? So it was about a year ago when I purchased a few packs of Prestige Basketball 2010-2011 and really liked the product. Which is why getting it for my birthday this year in blaster form was awesome. However, it was sorting through them last year when I noticed something wasn't right. When putting the cards by number, I noticed in small writing that the card was autographed!! Then the next one too! I was very excited! 2 autographs in 6 packs!! At a retail outlet at that! What a pull! I didn't originally see an autograph when busting but I had heard enough stories with cards being stuck together so I thought I hit it well. But when I flipped the two cards around. Autographs were not found. I went to the back again and read it. The looked at the front. Then the back...then the front...then the...well you get the point. I waited til the next day before calling Panini customer service about it and they told me nicely that the cards were printing errors and that there was nothing they could do and no replacements would be shipped. I must admit at first I was a little furious, but then I came to realize that errors are made. And that these cards were still pretty cool and unique in their own way. Though the cards have no added value from the error since so many were made, I found it a collectible and look at them time to time. I have also included a link to the Knights Lance about these if you want more information on them! I now ask...is the biggest error in sports cards history?? Or is there one that tops it? I was once into collecting Hallmark ornaments. I would wait til they were marked down after Christmas and scoop up the good ones. I have three copies of the Willie Mays that I got for a dollar and they are worth around $30. I have NY Yankee ones, Eli Manning, Peyton Manning, Barry Bonds, George Brett just to name a few. The Cooperstown collection are the most collectible and carry the most value. Do any of you collect these and who do you got? Stephen Strasburg was named opening day starter for the Nationals. What kind of season do you expect from him? I hope he picks up where he left off. He looked incredible and this is a franchise who could really use an uplifting player and dominant pitcher. They have a ton of young talent and could possibly make a run in the playoffs a few years down the road. But I believe it starts with Stephen. And hopefully he stays healthy and on the field for them. 2 Great pitchers. I always enjoyed watching Randy Johnson pitch. What a fast ball he had. And not to mention, some crazy hair sometimes. And Chris Carpenter is fun to watch as well. And he is like fine wine, he gets better as he ages. Sad to see he isn't the opening starter for the Cardinals this year because of an injury, but when he does get out there, he will dominate as usual. Football Stories of the day.. So Tim Tebows a Jet and today is the day that Press Pass Football 2012 is released and the NFL hands out big hits on the bounty hits from the Saints. The Jets paid a 4th and 6th round pick for Tebow and a 7th round pick. To me, they got a pretty good deal. If Sanchez doesn't pan out...well Tebow can bring excitement. They also most importantly bring in someone who can uplift their locker room. The bounty issue from the Saints hit the team hard today as final decisions from the NFL about the problem were handed out. Sean Payton is suspended for the season without pay. Gregg Williams coaching career pretty well done and their GM suspended for the first 8 games. The NFL did what it should have. It came down hard on a pretty serious issue. I applaud them for it. Putting bounties on knocking out the other teams qb and other key players. I am not down with that. Football is already a rough sport. I know. I played. I blew out my MCL and ACL from a cheap shot hit. And the final topic is Press Pass Football 2012. Have any of you run out to pick some up? Have you gotten LUCKy? Have you been chasing down RG3 or do you have another favorite this season? Feel free to post to our Facebook wall any hits you get from the product. We would love to see them! As I look forward to whatever set they come out with this year for my Super Bowl Champion NY Giants, I reminisce back to Super Bowl 42 and the sets that were created after that huge upset win. I would say however, the Topps set was more creative. And to me, much more collectible. I own 2 of these. Each set comes with an authentic Super Bowl stub relic from the game. A pretty awesome piece to my collection. The Upper Deck set is nice too and has a oversize card for its bonus. But it doesn't top the Super Bowl Stub relic. Probably one of the nicest Super Bowl team sets ever produced, from the greatest Super Bowl game ever played. Like most collectors, I find myself looking at card prices in Beckett every month to see which player is hot, which cards from my collection went up or down, and what values the new brands have to help me decide whether to purchase the product or not. However, sometimes looking at the values can be your driving force to or worse, from the hobby. I thought I would give you some insight on how to look beyond the value. To find another kind of “value” in card collecting. As a kid starting out in the hobby, I became obsessed with collecting Ken Griffey Jr. If it had his face on it, I would get it. Cracker packages, cheez whiz cans, Oreo wrappers, you name it. I bought it. I didn’t care that it didn’t have value, because to me, it was valuable. I still take that same mindset today. Except I don’t buy all of the extra stuff now. I am just strictly a card collector. Even though I still have temptations to buy other stuff. However, I still held onto everything I did have. Card values can be fun and chasing the most valuable ones is all a part of the hobby. But in order to really enjoy collecting, you have got to move past the card values. If not, you will fall into a hobby depression (meaning the interest you have in collecting would decline) and the only thrill you would get from the hobby is if you get a big hit. But that thrill would only last until the value declines. And the cycle would start all over again. However, if you collect just to strictly sell, then the values mean everything to you especially if you are using the hobby as your income. If you collect, just for the fun of it, then you must look inside yourself and find your reasoning for collecting. Do you collect for player, for team, for the inserts, for the memorabilia or autographs or simply just for the fun of the bust? Once you have answered this question, it may help you see that value isn’t as important. Just as I did with Ken Griffey Jr. Despite his many injuries and declining values, I still saw him as my hobby centerpiece and moved pas t the value decline. I also looked at it as an opportunity to be able to pick up some cards for a much cheaper price. Some other questions you may not have thought of while making your decision are, did someone important in your life get you into collecting or did they give you a certain players or teams cards and that’s why you have been collecting them? Do you get a bonding opportunity with a loved one? Is it your favorite team or did you run into the athlete somewhere and made a connection? I collected Griffey because of the man he was on and off the field and it was a bonding experience between my father and me. The thing with card collecting if you are not into it to sell, you must think outside of the box on why you collect and dedicate yourself to that reason. Once you do that, values won’t be as important even though it would still be fun to see them go up. Another thing to remember, especially if you are a big wax buster, that every card has its place in the hobby. If it’s a no name player, not a player or a team you collect since you have figured out why you collect or you just simply don’t want the common’s kicking around collecting dust that there is someone out there who does want them. It’s fun to collect cards for yourself, but just as much fun helping others out. Giving cards away that you don’t want to those in need or sick, those who collect a certain player or team or those who want to start up in the hobby but can’t afford it is what I like to call “Card Recycling”. It cleans out the clutter (sort of like when you are tossing away boxes, milk jugs, cans and etc) from your collection and also helps out others. In the end you feel so good about doing so. Some places to give cards away are Children’s Hospitals, card forums like the great one on Beckett.com or for a creative idea to draw more children to the hobby start giving some out on Halloween and watch their reaction. In the end, the hobby is fun. No matter how you collect, who or what you collect or what you do with the cards once you have them. Remember this phrase.. Just enjoy the hobby. Big Bang Theory Trading Cards!!! 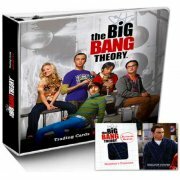 The Big Bang Theory is now being made into cards! For those of us who love the show, ME!! ME!! ME! !, and for those of us who collect cards, ME!! ME!! ME! !, the best of both worlds combine for these trading cards. I know I will say Bazinga about them!! There is also a binder set you can buy that comes with a bonus Sheldon Cooper Pajama card (pictured below). Check em out! Autograph and memorabilia cards will feature a CZE hologram to guarantee authenticity. To find even more images of these Banging Cards, search our blog for Big Bang Theory Trading Cards part 2!! Box Review! Panini Prestige 2010-2011 Basketball Birthday Blaster Boxes! My Birthday box review!! I didn't get a hobby box, but did get a couple of these from a relative to bust! The first part new way to review will start with the outside. I like cards from the outside in. So in order for me to feel like I did a good job with a review, I am going to start doing it that way. Because sometimes, I do judge a box by its cover. Box: I like the design of the box. It matches its cards. I will say one negative thing, I didn't know the box came with a jersey or autograph card. And sometimes when I buy blasters, I buy them for that purpose. This one didn't have it listed anywhere on the front where the store stocks it that way. The words were hidden on the side. If it wasn't for my love of Prestige and it was another brand, I might have ignored it without a hit. Other than that, a nice box with the top pick of the draft as the lure in. If Panini had known ahead of time, I am sure that Mr. Lin would have been on the cover as well. Wrapper: I like companies that match the wrapper with the box front. Base Card: Love the clean crisp design! Great stats and write up on the back as well! John Stockton, Magic Johnson, Larry Bird are just some of the Legends! Adding Legends to the base card set is a nice twist as well. Thought we did well, getting John Wall, Evan Turner and Paul George as our best rookies. 8 rookies per blaster. So we got 16 overall! But did not get Linsane! The rookies have 2 cards of each player. Makes the set challenging, but fun! Inserts: Some parallels of the base cards to be found.We got a light blue draft pick of Erik Bledsoe. The Hardcourt Heroes looks great from the angle the picture was taken at. Right at the rim. Doesn't get any better. The Prestigous Pros...look great. Shiny and numbered. A nice pop! Memorabilia: We got one of these per blaster. Nice touch to add the jersey piece to the already nice shiny looking Prestigious Pro's. Overall: A lot to be found in one of these blasters. Makes the $20 you spend well worth it. With 8 rookies and a jersey or autograph guaranteed. You cannot go wrong! Let us know what you think of our new box break system!! Usually each set came with 30 cards. Some had parallel gold or silver versions cards that fell one per set. And if you were really lucky, you could get an autograph. The odds were hard, but you could land one that were randomly inserted in the sets. Some of these sets were very popular. 2004 seems to be the one most sought after. The rookie class that year containing 3 great qb's (E.Manning, Rivers, Roethlisberger) and other great players is probably why. But, since the loss of their NFL license, Upper Deck doesn't produce these sets anymore. So their value to me, is more now because of that. Vintage Sports Cards...are these real? Is this really Jason Kidd's jersey? I saw another blogger who wrote about this and I found it interesting myself to give my own take on them, Have any of you ever made a purchase for one of these at a retail store? There were 3 sports of them, MLB, NFL and NBA (I don't know if they made an NHL one. never have seen one) and usually were on hangers for around $5. Some of them came with packs and sold for around $20. They feature top players from their respected sports on the outside, but usually the inside gives you a different take. They come as a frame overall piece that has an embedded card and jersey piece and guarantee that the jersey is authentic. Now they are unique pieces that you can use them like a picture frame and use the backing to stand them up next to your night stand where you and your significant other can appreciate it, but I question whether the jersey is authentic. Yes, they make is seem real with different colored pieces and sometimes a stripe or patch thrown in, but how do we as collectors truly know? Its just a little strange to see a jersey just glued into a picture frame and randomly put there. But, I guess that doesn't mean they are not authentic. Just makes you question it. And yes, I own a few myself and call them collectibles. 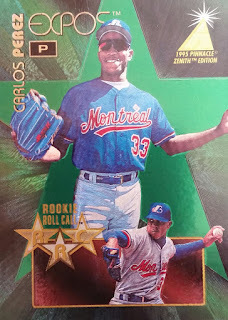 They are a different form of jersey card and a different kind of card to own which is why I bought them in the first place, but once I opened up a couple I began to realize that maybe these are not what they are cracked up to be. So, I gave them up. 2 for me is enough. If any of you have ever purchased one of these, what did you think of them? Do you believe the jersey is authentic? What other stuff do you collect? Some of us collect cards. Some of us collect memorabilia. Some of us collect both. And then there is those of us who look at everything as a collectible. The one definite spot I can put myself in on that is cards. I do have some memorabilia. Not much though. And I do have other collectibles such as bobble heads, magazines, newspapers, mugs, glasses and other unique odd and ends pieces. But overall, my main focus is in card collecting. I thought it was a great trade. The only problem was the Nolan Ryan auto baseball didn't have the certificate of authenticity but the card shop guaranteed it was authentic. I mostly did the trade for the Super Bowl winning qb.The baseball has is no longer apart of my collection. Couldn't let my Lawrence Taylor and Phil Simms go. A big thanks to Panini! The Time That I...met some NY Giants! Was Jeremy Lin built up Hobby Hype? 2011 Sport Card Season favorites and why..